Riding a motorbike means something different for each of us, something personal. Some of us want to ride and relax just cruising, the others want to ride Offroad and have the dirt all around them and then are those who want to be at the racing ground and drive full speed. What unites us is the fuel in our veins and the passion in our souls – it’s the ride! 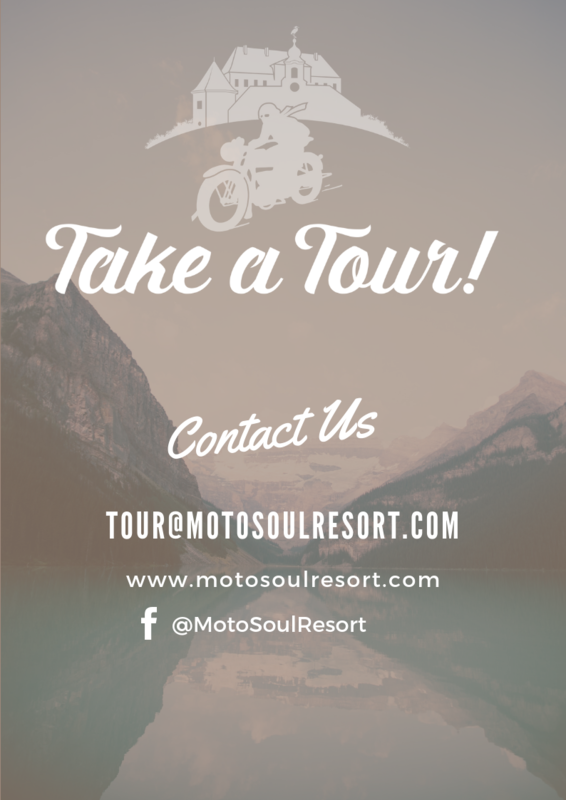 Our amazing 10 day trip starts at MotoSoul. Here you’ll get the Bike you choose. You will have a half day of getting to know each other. After our Chef’s Table Dinner you get a little rest and start your new life. We will show you Dresden and Pirna. Come and see the unique baroque architecture and feel the energy of an old city which barely survived the war. On day four your journey brings you to Prague and Cesky Krumlov. Enjoy riding on small streets and in nature. Onward to the alps. Enjoy being on the road and just let it roll. Don’t be sad if you arrive a little late because you will have the full next day to play in the alps and have fun while climbing up and riding down all those mountain passes. The fun continues all the way to Pilsen. Here you can try very good czech the famous Czech beer, pilsner. 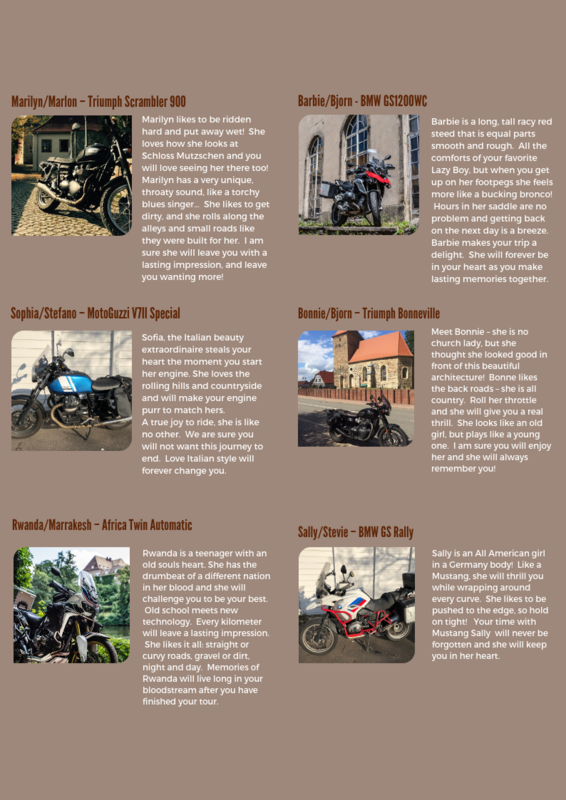 Day nine brings you along curvy roads to Neuhausen/ Erzgebirge. Here you can see the typical German Christmas woodwork. Your last riding day is covered with nice landscape, lakes and pure life. Can you feel it already? Can you imagine all those impressions and the adrenaline while riding without organizing anything? We take care of it all! All in one: Just show up and everything is taken care of!